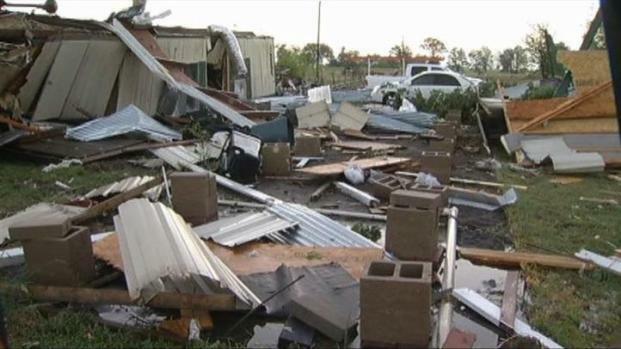 Richard Wingo and his wife, Shannon, feel like the luckiest people on earth, after surviving a rough storm which tossed their trailer home into bits. "It's amazing we're still alive," Richard Wingo said. The storm hit when the Wingos were sleeping. "Me and my wife were asleep in the bedroom and it sounded like someone was throwing rocks at the house." he said. "And then the next thing it sounded like a train and everything started shaking and next thing you know, it just started flipping." Richard and Shannon Wingo lost everything when powerful storms destroyed their home, but they're just happy to be alive. "It was like I was floating in the air and then I guess it rolled over twice," he said. In the darkness and confusion, husband and wife were separated. He was partially trapped under a TV and a dresser. She was partially pinned by the washing machine. "All I saw was her hand sticking out of between some wood and stuff, " he said. "I just climbed over and grabbed her and did what we gotta do to get her out. I tried to make her stay inside, until I knew the storm was past us and we climbed out through the back of the trailer." 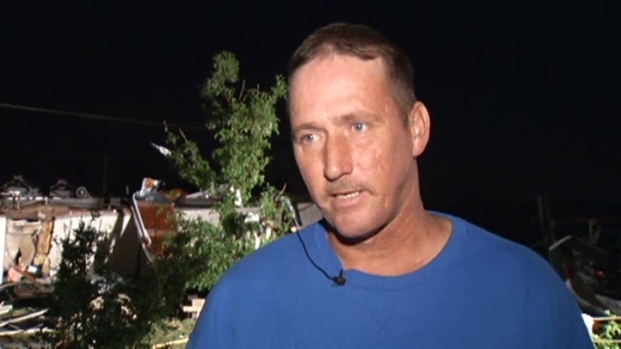 Richard Wingo and his wife, of Alvarado, are lucky to be alive after their trailer was tossed around and rolled over several times in Sunday night's storms. The past year was full of tough luck for this couple. They both lost jobs, were temporarily homeless, and were working to get back on their feet. "Look at this, " Wingo said, pointing at the ruined trailer home. "There's nothing left, especially on the inside, so we're very lucky to be alive."